The next DLC for Phoenix Wright: Ace Attorney – Spirit of Justice is called “Turnabout Time Traveler” and will be sold for $5.99 / £5.39 / €5.99. It will be the third story DLC to be released since the two “Asinine Attorney” DLCs were released previously. Unlike the previous comedic DLCs, this turnabout is canon and can be integrated to the main story. Spirit of Justice was released two weeks ago and was the best-selling title on the Nintendo eShop last week in North America. 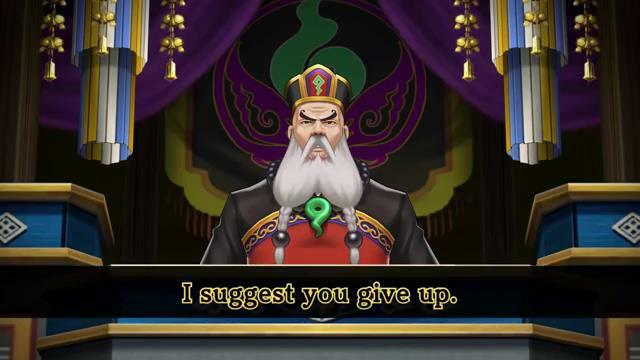 Let us hope the success of the game will convince Capcom to localize The Great Ace Attorney, released in Japan in 2015, and bring it to the West. Capcom recently announced the development of The Great Ace Attorney 2, but didn’t communicate information on the platforms nor the availability for Europe and US, so it is not known if it will be playable on 3DS or the upcoming NX.